Burst Biologics is a regenerative medicine company with a strong foundation in R&D developing products for wound, bone and soft tissue treatment. 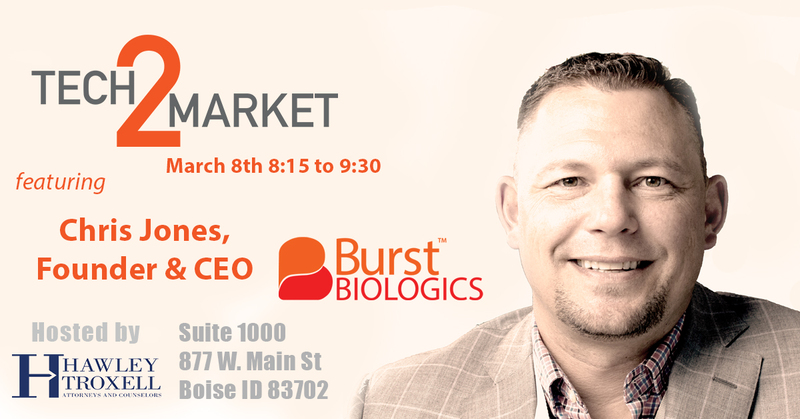 Learn how Chris and Burst Biologics are have brought these new technologies to market. Burst Biologics was founded in 2010 as a medical research company. From day one, their vision was to reshape the landscape of research and manufacturing in the regenerative medicine space. Tackling this cutting-edge field of medicine with an agile approach to research. This system enables Burst Biologics in-house research Ph.Ds to conduct research more efficiently than traditional research organizations can, developing proprietary processing techniques to manufacture unique regenerative products. The results speak for themselves. Burst Biologics is one of the only companies in the regenerative medicine space to maintain end-to-end control over every stage of production. There is no fee to attend in person, but registration for February's Committee meeting is required.